Polish beets with sour cream, buraczki ze śmietana (boo-RRAHTCH-kee zeh shmyeh-TAH-nah), can be enjoyed hot or cold. The magenta color of the salad is so beautiful. 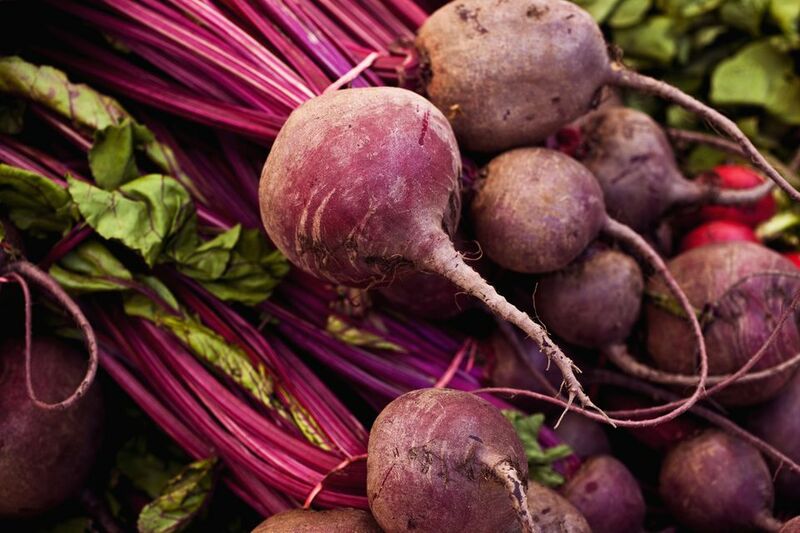 Because beets are naturally sweet, start with 1 teaspoon sugar for the dressing. If you like a sweeter salad, add more. Wash the beets and pat them dry. Boil or roast them in their jackets until a thin knife tip can be inserted easily into the flesh, but they are still somewhat al dente. When they are cool enough to handle, peel them and set aside until they finish cooling. To use canned beets, see the Note below. Cut cooled beets into strips or julienne. In a medium bowl, combine sour cream, sugar, and salt and pepper to taste, mixing well. Fold julienned beets into the dressing being careful not to break up the beets. If serving hot, transfer mixture to a saucepan and warm just until you notice small bubbles starting to appear around the edges. You don't want to bring to a boil because the sour cream will break. If serving cold, cover the bowl you mixed the beets in and refrigerate until thoroughly cold. Transfer the beet mixture to a serving bowl and garnish with dill sprigs or chopped fresh dill. You can speed things up by using 2 cups well-drained canned or jarred sliced beets and cutting them into julienne strips. Śmietana is the Polish word for "sour cream," and it is used in dishes across the board. You will find it as one of the ingredients for certain doughs including pierogi, in soups, sauces, as a salad dressing, in desserts and as a condiment dolloped on other foods. But European sour creams are vastly different from the types known in the States. Typical Polish sour cream contains up to 40% butterfat whereas those sold in the U.S. contain 12 to 16% butterfat.